July 8, 2013 /3 Comments/in Diabetes /by Jenn F.
Even though insurance companies treat onychomycosis (toenail fungus) as a “cosmetic” issue that they don’t have to cover, it’s a different story for patients who have diabetes. According to Clinical Diabetes, the official journal of the American Diabetes Association, “The outcome from not treating onychomycosis in diabetic patients can be worse than in those without diabetes.” For this reason, some insurance companies will cover toenail fungus treatment for the approximately 22% of diabetics who have toenail fungus. Thick nails can be burdensome while walking, as the top of the nails push against the shoe, causing bruising and pain. No one wants yellowed, deformed nails that have hardened in bizarre positions. Ingrown toenails often come as a result of fungus nails too. A nail that begins growing into the toe tissue can open the body up to infection. Diabetic patients with toenail fungus have a 15% increased risk of secondary infection, compared to a 6% rate of infection among diabetic patients who do not have onychomycosis. Injuries to the skin — be it an ingrown toenail, a blister, or an opening in the nail bed — can occur without the patient’s knowledge and lead to fungal or bacterial infections like paronychia and cellulitis. In the worst case scenario, the infection may affect the bone, which is referred to as osteomyelitis. The thicker the nail is, the more likely the nail bed will erode. Often, over time, the nail actually separates from the bed and may fall off. The body will be more vulnerable to attack without the protective nail barrier in place. Athlete’s foot is a fungal infection on the skin. Fissures and cracked skin provides an entry point for fungus to get into the body and cause a red, itchy rash. Diabetic patients with toenail fungus have a three times’ greater risk of developing gangrene or a foot ulcer. Each year, more than 112,551 amputations cost the United States $2 billion. The majority of lower limb amputations occur in diabetic patients who have suffered from an infection that turned ulcerous or gangrene. That is why treating something as seemingly innocuous as fungus nail is imperative. 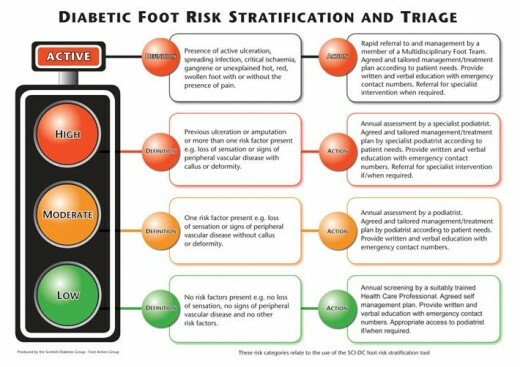 Foot care should be your top priority if you have diabetes. Nerve damage makes it difficult for you to notice wounds until it’s too late. Poor circulation makes it hard for foot injuries to heal quickly. Diabetes Forecast magazine reports that “clinical cure frequently takes close to a year, and recurrence of the infection is common.” For this reason, lifestyle changes are an important part of diabetes foot hygiene. 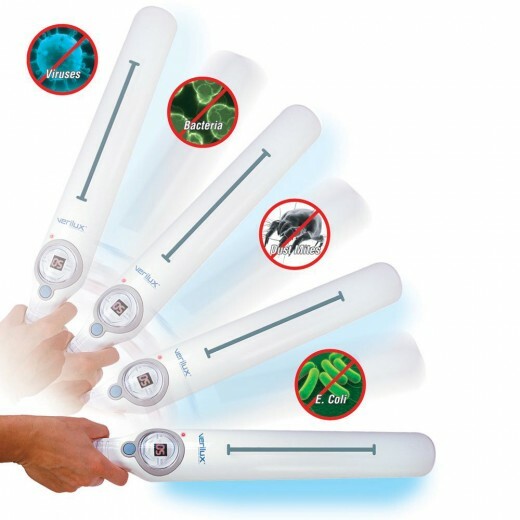 We recommend sanitizing the shoes with the SteriShoe UV light shoe sanitizer each night to kill off 99.9% of the microbes living in your shoes. You wash your socks regularly to prevent contact with pathogens, so why not give your shoes the same TLC to protect your feet and guarantee the effectiveness of your toenail fungus treatment? Gotta get it treated one way or another. Treating Toenail Fungus Requires Treatment of the Shoe Am I At Risk For Toenail Fungus?